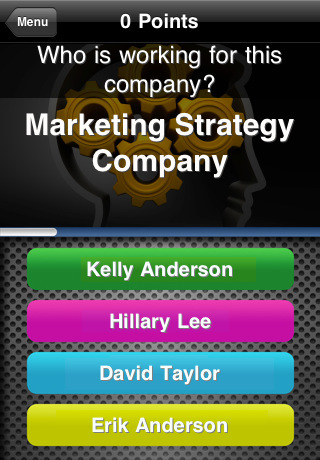 Announcing the availability of fast-paced quiz game-Remember Me? on the iTunes App Store. 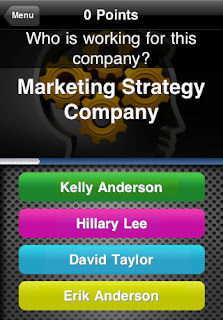 Developed by PhoApps ApS, “Remember Me?” is the app in which questions are generated from the user's own iPhone / iPod touch address book contacts. 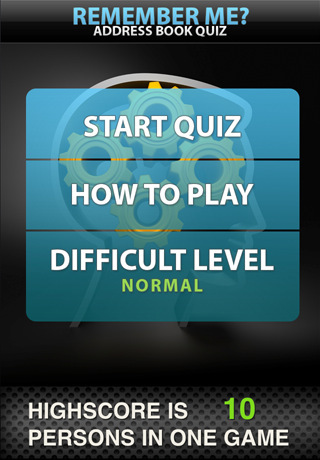 The quiz is time-based and players can choose between three difficulty levels that affect the type of questions presented throughout the game as well as time available. The idea behind the game is that the player should have fun and at the same time learn more about their contacts. Remember Me? includes recognizing photos, fake contacts, names, addresses, work details, birthdays and more. RememberMe? Quiz 1.0.2 is $0.99 or equivalent amount in other currencies and available worldwide exclusively through the iTunes App Store in the Games category.